When Sanasam Birendra Singh is asked to portray himself, he would say, ‘I am an activist who promote both the Khadi and Village industries in the state’. Despite being an important part of the state commerce and industries department as the Functional Manager (Handicraft) of, which is the equivalent a deputy director, he is grounded. He’s 60 and recently retired. 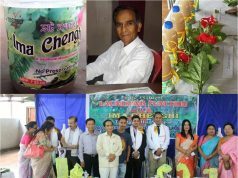 Birendra’s 32-years long journey of dedication and efforts to promote the state Khadi & Village Industries is not enough for him but he continues promoting Khadi and Village industries and the state craft persons globally through his book, Gold Hands of Manipur which is yet to go in print. 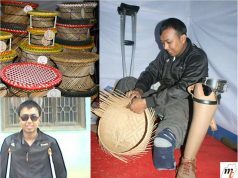 Sanasam Birendra Singh, from Sangaiprou, is a loyal officer (Handicraft) from the state commerce and industries department. He has never misused his authority and neither offers favouritism or nor he accepts any gifts or favours to him by someone in his professional life. He said bluntly, “If anyone has proof of me taking bribe, then I would repay him one lakh”. 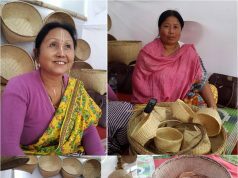 Birendra has a special place in his heart for the state artisans and craft persons. He always felt the for the plight of the artisans and craftspersons, where he said with a laments, “most of the crafts person live very unorganised, isolated and neglected by society.” He added, “many of them lives below poverty line; most banks are not ready to provides loans to them; brokers and business persons takes advantages and profits from them, as they owned their products in less-price and sold pricey at market, etc”. But the situation has been improved to certain a extent, he continued. He said, “many financial institutions have been sensitized, and clarified the misconceptions they have; many craftsperson have been capacitated on various topics to make their business more feasibly, besides the schemes, grants, promotions and recognitions from the department”. 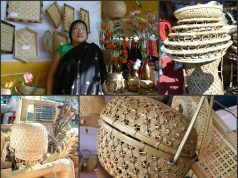 He further lauded the current minister Govindas Konthoujam who has taken an initiative to empower the state artisan and to make state handicrafts products available to all. Apart from Birendra’s main line of duty, he scripted a radio documentary-features to promote, informe and educate the state people’s about the state handicrafts, which the programs were broadcasted every Saturday by AIR, Imphal. 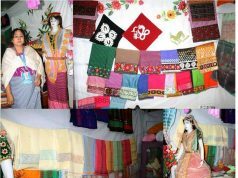 He has published a book titled ‘Khutheibalaktagi’, which is a compilation of stories of outstanding craftspersons from the state. 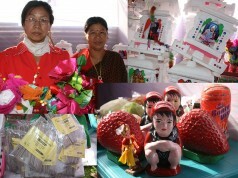 He has alsopublished many articles on Handicrafts and crafts person in various Imphal-based papers. He is currently writing the English translation of ‘Khutheibalaktagi’, which according him would be titled as ‘The Golden hands of Manipur’. 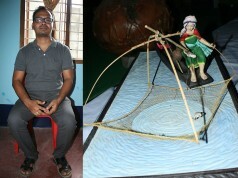 Birendra is a BA (Economics) from Guwahati University and he also studied Law but dropped-out in his final year. 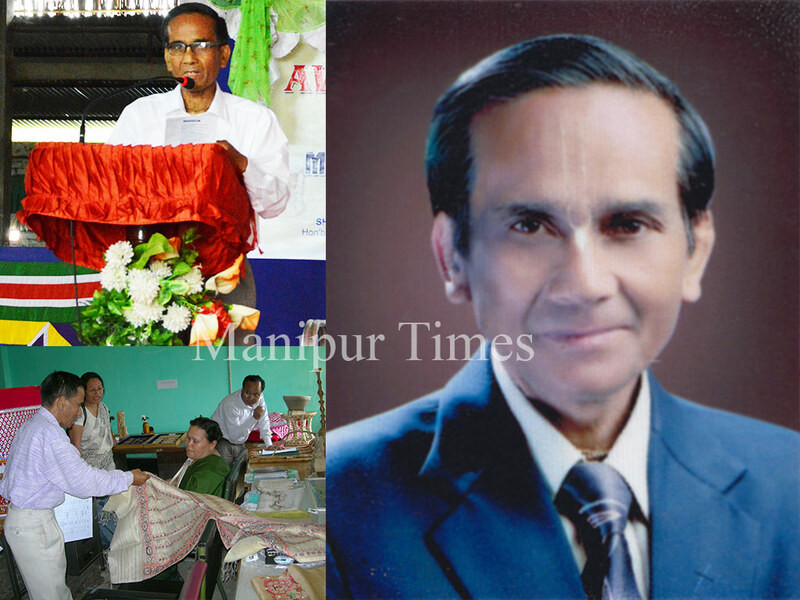 He was born at Irengbam Village of Bishnupur District and the eldest of 5 siblings. Currently he lives at Sangiaprou with his family, with his three child and a wife who is a FHW. He joined the state commerce and industries department as LDC but after three-days from his joining he started working as a Statistical Supervisor in-charge. Later he took the charge of Asst. Director then Asst. Manager and promoted to a Functional Manager. And he has also served as Assistant Director in-charge (on deputation) at the KVIC-Imphal. He is a devotee of Lord Krishna living and active member of ISKON, Manipur.